Another pair of earrings that was damaged was my Remembrance/Veterans Day pair. 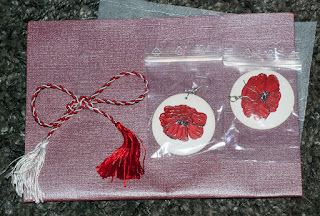 We found these on Etsy and they came all the way from Romania. Not only that, I got a martisor in the bargain!